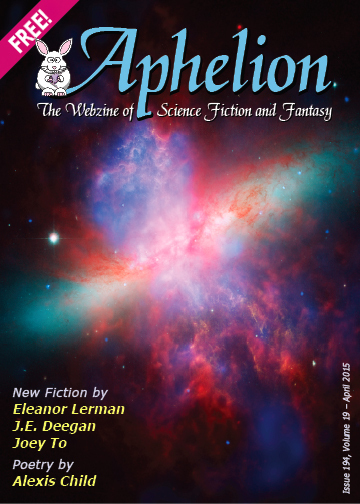 Aphelion • View topic - The April issue is now live! Re: The April issue is now live! Wanted to comment on "Looking for Tush" but can't find it in the forum. As Seinfield would say, "Whaaats the deal?" nogameben wrote: Wanted to comment on "Looking for Tush" but can't find it in the forum. As Seinfield would say, "Whaaats the deal?" Feel free to start your own topic. Copy the title and author from the top of the story, open a new topic and paste those in as the topic title. Comment away! Well, why not try it. I'll make threads for all the shorts and see if that helps get them comments.